HTC Titan II and Nokia Lumia 900 Smartphones are fully powered by Windows Phone 7.5 Mango operating system and fully loaded with similar Hardware and Software Specifications. HTC Titan II and Nokia Lumia 900 will be powered by AT&T wireless providers and will launch on same month and same day on 8th April, 2012. Besides the price tag of both HTC Titan II and Nokia Lumia 900 Smartphones they both are powered by Windows Phone and have AT&T contract on its purchasing. According to Cnet Nokia Lumia 900 will go on sale with AT&T wireless provider on April 8th, 2012 with a start price tag of just $100.00 and According to Engadget HTC Titan II will go on sale with same AT&T wireless provider on April 8th, 2012 with a start price tag of just $199.99. 8th April, 2012 is a big day for wireless provider AT&T and also for Windows Phone operating system because that day will decide the interest of peoples into Windows Phone smartphones and also HTC and Nokia will be hoping to gain more customers for their fully loaded Windows Phone and AT&T Smartphones. The big key for Nokia Lumia 900 Smartphone will be the price tag of $100.00, this device will surely attract attention as it carries the well-respected Nokia brand name, LTE, 4.3in display, 8MP rear camera and of course runs Microsoft latest Windows Phone OS. On other side, The big key for HTC Titan II Smartphone will be its specification, HTC Titan II is basically an upgraded version of the original HTC Titan smartphone, HTC Titan II contains hardware features as the first Titan with a big 4.7 inch screen, a 1.5 GHz Snapdragon S2 processor and a 1.3 megapixel front facing camera. Unlike the Nokia Lumia 900, HTC Titan II will be sold on AT&T at a starting price of $199.99 with a new two year contract when compared to the Nokia Lumia 900. The two big hardware changes for the HTC Titan II are that it will support AT&T's faster LTE wireless network and that it will have a rear facing camera with 16 megapixels. 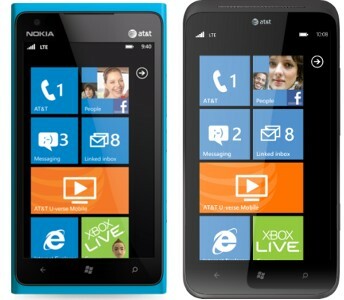 It remains to be seen if those two features will be enough to justify the $199.99 price tag compared to the Nokia Lumia 900's more reasonable $99.99 price point. 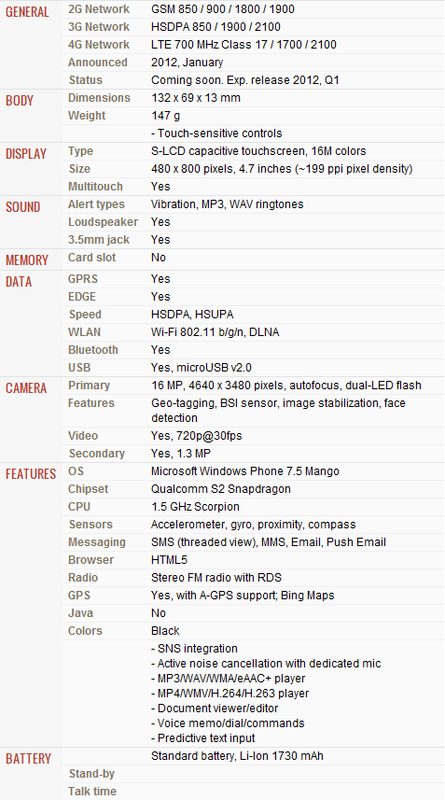 Let’s find out the Hardware and Software Specifications comparison between new HTC Titan II and Nokia Lumia 900. Following is the Specification and Software and Hardware details of HTC Titan II Smartphone. Following is the Specification and Software and Hardware details of Nokia Lumia 900 Smartphone.